The Federal Aviation Administration said Tuesday that even though America’s collective waistline is expanding, airlines are free to keep putting passenger room on a diet. The agency was responding to a legal challenge by the group FlyersRights, which argued that current seatback-to-seatback measurements could hinder passengers’ evacuation during emergencies. “The FAA has no evidence that there is an immediate safety issue necessitating rulemaking at this time,” the agency wrote in a letter responding to the court challenge. The group seeks to “establish a moratorium on further seat size shrinkage” on passenger jets, Applebaum said. Economy class space from seatback to seatback has been reduced from 35 inches to 28 inches on some planes. Seat width has not seen similar reductions. The FAA does not regulate these dimensions, but it has set a 90-second standard for emergency evacuation with half the exits blocked. In response to FlyersRights’ court challenge, plane manufacturers submitted to the court videos of evacuation drills that show packed planes being emptied within the 90-second limit. However, the travelers’ group says some of those exercises were conducted decades ago, when the average American was smaller. “We observed that the passengers, the test subjects, were younger and smaller than the the average American,” Applebaum said. The Centers for Disease Control has recently said that 70 percent of adults in the United States are now overweight or obese. The manufacturers’ imagery, FlyersRights claims, is unrealistic, doesn’t show the entire evacuation procedure, and does not depict anyone reaching for carry-on bags, which have increased in number as baggage fees have swept the industry. In an affidavit submitted to the court, FAA safety engineer Jeffrey Gardlin countered that real-world crash- and emergency landings from the last three years also prove that passengers — overweight and otherwise —can escape safely. The “Miracle on the Hudson,” U.S. Airways Flight 1549 in January 2009 — immortalized by Hollywood in the Tom Hanks movie “Sully” — was held up as a modern example of “an effective and timely evacuation,” according to a conclusion by the National Transportation and Safety Board. All 155 people on board escaped to safety. Exit door size, which is regulated, is one reason passengers usually make it out during modern emergencies, Gardlin stated. But he also argued that the size of a passenger doesn’t make a crucial difference in exit times. The FAA decision was a response to the U.S. Court of Appeals in Washington, which had ordered the agency to take a second look at regulating seat size and passenger room. The court challenge had taken the form of a rule-making petition by FlyersRights, which says it might appeal the FAA’s decision. In the meantime the advocacy group says it is drafting a letter in response to the FAA’s stance. 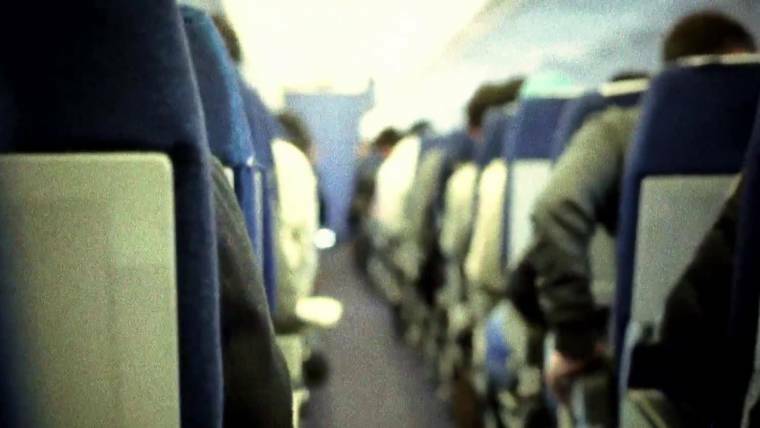 A bill passed by the House of Representatives in April would force the FAA to establish some minimum passenger room measurements, but it would leave the specific numbers up to the agency. It’s currently being weighed by the Senate.